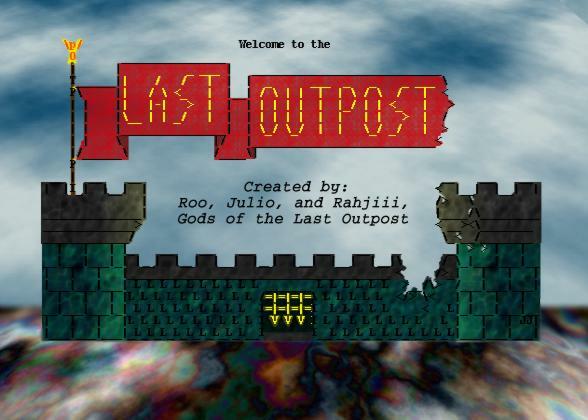 The Last Outpost is an online multi-player text adventure game, also known as a Multi-User Dungeon, or a MUD. It has been online since 1992. The game accepts both IPv4 and IPv6 connections, and has a built in shell-like CLI with arrow history, hotkeys, and tab completion. The game does not require additional client software, and connections made through the web page are SSL encrypted. The web client also has support for touch based mobile devices so you can play LO on the go.